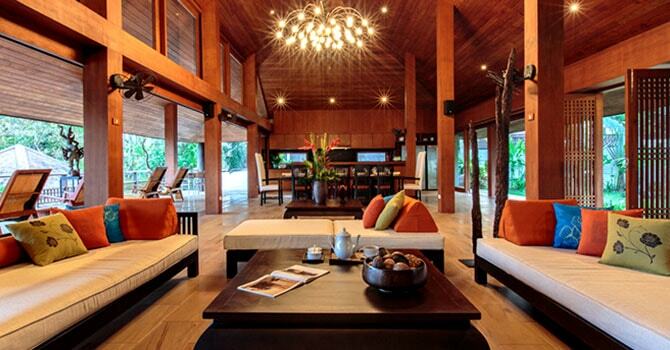 Ban Mekkala is a stunning estate, a 6 bedroom villa directly on a pristine and secluded beach. Comfortably sleeping up to 12 people, this serene beachfront villa is the ultimate choice for an island retreat. 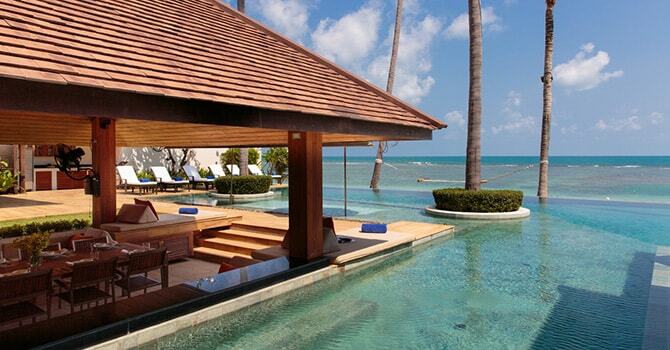 Set in lush tropical gardens, it features an expansive oversized pool framed by swaying palms. Some highlights include a large outdoor dining Sala, comfortably spacious open plan living areas across the villa, a poolside BBQ and access to numerous activities and wonderfully fun water sports. Large walk-in showers with rain shower heads and sunken baths make each bathroom both efficient and elegant. 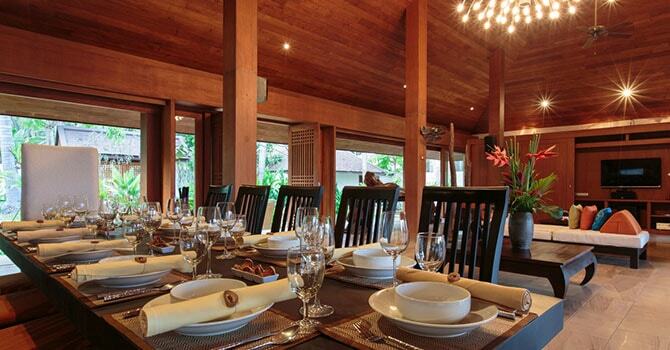 The ultimate getaway, this villa is the idyllic setting for any get together. 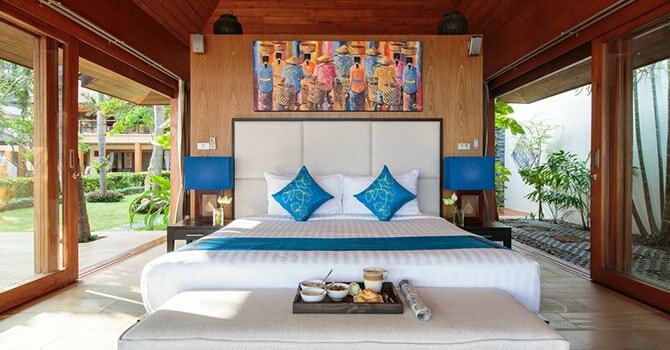 Located on the absolute beachfront of Leam Sor Beach, the villa has an enviable tropical location that is within a short distance of many excellent restaurants, shops and cultural attractions. Each of the villa’s maximum of six bedrooms are stylish and elegant, with modern decor and large windows to take advantage of the villa’s mesmerising setting. There are four bedrooms with deluxe king-size beds as well as ensuite bathrooms with relaxing bathtubs. Two further bedrooms feature two single beds and an ensuite, so are ideal for younger guests. Paradise on Koh Smaui Ban Mekkala what can I say. This property was so spacious and well laid out we felt we were there on our own and not with 2 other families. That said there are so many great places where we could all get together to eat, chat and play. The staff at the villa were also amazing. The villa manager was never in our face but always there to take care of our needs. The villa chef prepared some of the best Thai food I have ever had and was more than capable with western dishes. The house staff kept our rooms and villa pristine. 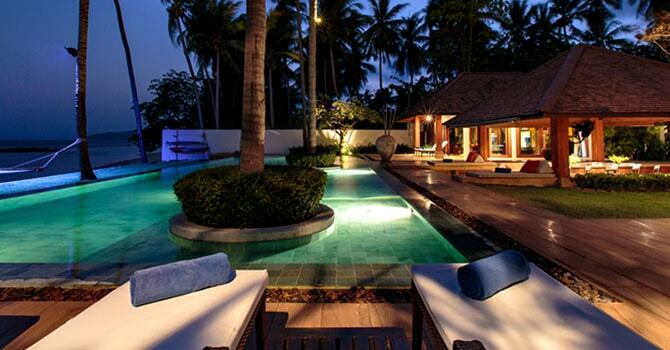 Total relaxation.